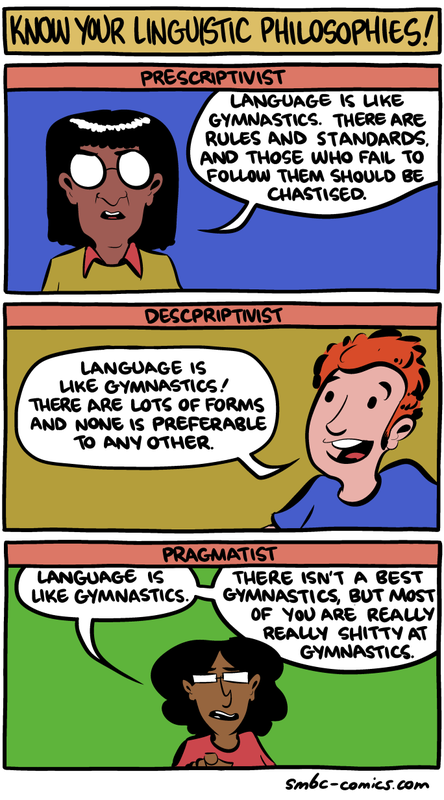 Language Is Like Gymnastics. Prescriptivists and Descriptivists Approach. Stránka byla naposledy editována 7. 2. 2018 v 21:43.